In an age where teachers must compete with a tiny screen in the palm of a pupil’s hand, it’s no surprise that some instructors are getting creative and using Hip-Hop as a teaching tool. Erica Buddington, David Yancey, Michael Bonner and Kristin Chavis have all received national media attention and acclaim for dropping bars during their lessons. Their approaches are being marketed as unconventional and novel. However, the teachers we spoke to say the utilization of popular hip-hop chart toppers as pedagogical tools is inventive but not original. “Teachers have been connecting music and education for years,” David Yancey, a Middle School Social Studies teacher in Conyers, Georgia, told NBC News. In March, news crews swarmed the small community just east of Atlanta to celebrate Yancey for using the Migos hit, “Bad and Boujee” to teach about the Civil War. A few months prior, Ellen DeGeneres introduced us to Michael Bonner, a teacher from North Carolina who figured music could help his struggling students. Kristin Chavis, a high school biology teacher in Shreveport, Louisiana made headlines for how she utilized the repetitive nature of rap to help students learn the class material. Most recently, Erica Buddington, a New York City educator, made headlines for borrowing Cardi B’s “Bodak Yellow” to teach geography. But he is cautious when agreeing that the use of music is not novel. He is concerned that if the message is framed as though the practice has been around forever, then it will deflate the good being done now. Bettina Love, associate professor of Educational Theory & Practice at the University of Georgia, told NBC News that black people have been teaching this way since…well, forever. She is happy that teachers are receiving their recognition due. But, she is skeptical. Love lectures extensively on the use of Hip-Hop in civic education. She believes that Hip-Hop has its place in education as a means of not simply reaching young black students, but validating them and their culture. For her, using rap to teach only scratches the surface of what students needs to learn. And it is through Hip-Hop education that young, black students become more successful because they are allowed the chance to embrace not just who they are, but how they express and what they have to say. Bettina Love is chair of the Executive Board of the metro Atlanta charter group. But if the teacher knows nothing about black culture, she advises that they not start with Hip-Hop as a teaching tool. She also believes that not every teacher should be doing Hip-Hop education or using Hip-Hop to teach. David Yancey with his 8th grade students at Edwards Middle School in Conyers, Georgia. Veronica Tinsley, one of Love’s doctoral students at UGA, agrees that connection is important for educating students. She said the students teachers are dealing with today are unconventional. 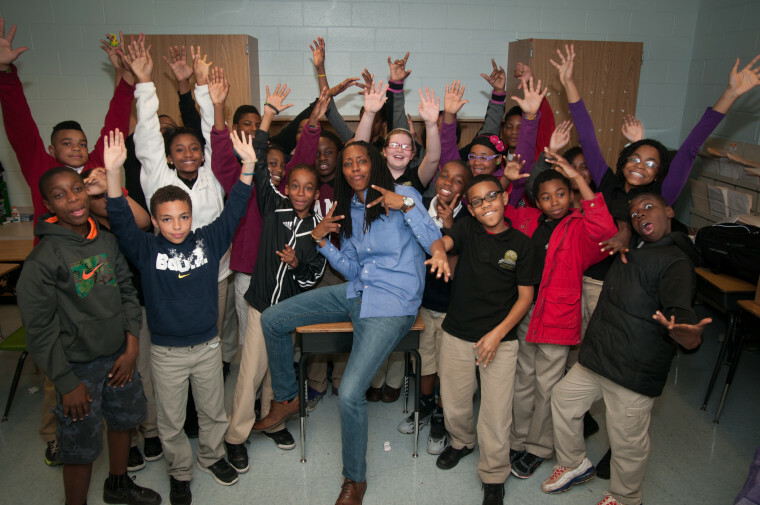 Hip-Hop in the classroom is, in some respects, an invitation, said Tinsley who also teaches in Atlanta, Georgia. “Hip-Hop provides a way for students to interact with what they are studying in a way that is interesting and meets their interest,” she said. 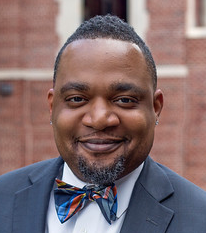 All in all, Yancey’s use of rap is a means of triggering his students – to get them to make connections and to think like historians.